Conveyor Bridge across the Bray Cut. The Bray Cut is crossed by a redundant conveyor belt bridge. The rollers are still in place but the belt has been removed. 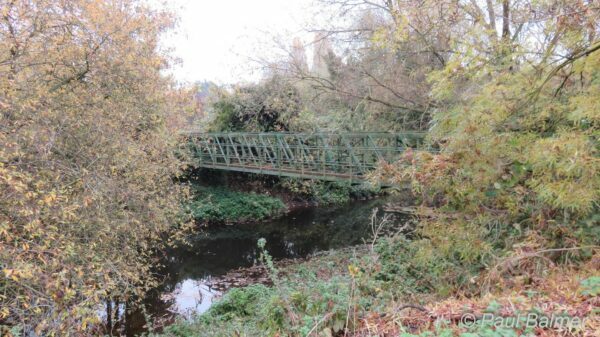 This is one of several bridges which will limit the headroom when the Bray Cut is restored for navigation.